ALU-660 is an industrial grade high temperature aluminium paint. Because of its high temperature resistance it can be used on exhaust systems. Furthermore its bright aluminium effect creates an appealing finish. Especially relevent is the outstanding corrosion protection it offers. FLEXI-FILL is a unique body shop product. 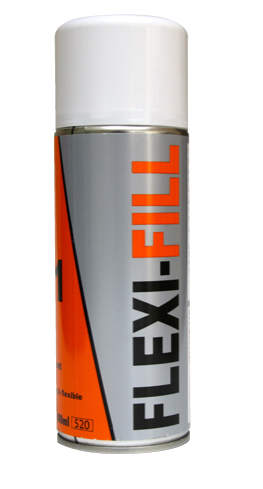 For small vehicle repairs FLEXI-FILL performs the funtions of a filler, primer and undercoat. Therefore saving vast amounts of time and money. While also ensuring zero wastage. Because of a built in adhesion promoter FLEXI-FILL will adhere to most surfaces.